It's almost time for this years "Nite To Unite for Kids" dinner, the ESA Foundation's annual fund raising event for children's charities. The event honors members of the industry who have made a great impact on the lives of children with the ESA Champion Award, with past recipients including George Lucas, Dan DeMatteo of GameStop, Nintendo's Howard Lincoln, ad Sony's Ken Kutaragi. Fixing a grave oversight, this year's recipient is the "Walt Disney of electronic gaming", Shigeru Miyamoto. "Miyamoto-san truly has defined video games as we know them today," said Michael D. Gallagher, president and CEO of the ESA, which represents U.S. computer and video game publishers. 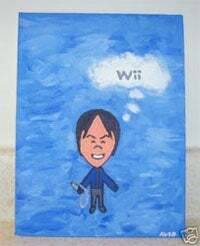 "With his remarkable creativity and passion for fun, family entertainment, Miyamoto-san and his team at Nintendo have produced many iconic games that appeal to audiences of all ages." A gala dinner and silent auction will be held on Wednesday, October 22nd at the Westin St. Francis in San Francisco, with tickets running $500 per person. A little pricey, but for a good cause honoring a pretty great guy. Hit the jump for details.Shigeru Miyamoto Named 2008 "Nite to Unite for Kids" Honoree Annual Black-Tie Event Continues to Raise Millions for Children's Charities September 18, 2008 – Washington, DC – Shigeru Miyamoto, senior managing director of Nintendo Co., Ltd., will be receiving the 2009 ESA Champion Award at the annual "Nite to Unite for Kids" dinner, sponsored by the ESA Foundation, the Entertainment Software Association's charitable arm. "Nite to Unite for Kids" is the computer and video game industry's premiere fundraising event, benefiting children's charities across America. "Miyamoto-san truly has defined video games as we know them today," said Michael D. Gallagher, president and CEO of the ESA, which represents U.S. computer and video game publishers. "With his remarkable creativity and passion for fun, family entertainment, Miyamoto-san and his team at Nintendo have produced many iconic games that appeal to audiences of all ages." Labeled the "father of modern video gaming" and the "Walt Disney of electronic gaming," by TIME magazine, Miyamoto, a Kyoto, Japan native, began his career at Nintendo as a staff artist in 1977. Over his 30 year career, he has developed over 100 games, including the beloved Mario™, Donkey Kong™, and Zelda™ series. Most recently, he oversaw the design of the Wii™ console and accompanying games such as Wii Fit™. "Nite to Unite for Kids," presented by the ESA and hosted by the ESA Foundation, has raised over $11 million for children's charities since its inception in 1999. This year's event, which includes a black-tie optional dinner and a live and silent auction, will take place on Wednesday, October 22, at the Westin St. Francis Hotel in San Francisco. The co-chairs for the 2008 event are Brian Farrell, president & CEO, THQ Inc.; Graham Hopper, executive vice president/GM, Disney Interactive Studios; and John Riccitiello, CEO, Electronic Arts. Past Champion Honorees include: George Lucas, famed director and founder of LucasArts; GameStop's Dan DeMatteo; Electronic Arts' Bing Gordon; Toys ‘R Us' Michael Goldstein; Nintendo's Howard Lincoln; Sega's Isao Ogawa; Sony Computer Entertainment's Ken Kutaragi and Electronic Boutique's Jeffery Griffiths. The gala event is open to both individuals and companies. Tickets are $500 for individuals, and table sponsorships are available. For ticket information, please contact Leslie Price at 800-949-3660 The ESA Foundation was created by the American interactive entertainment software industry to support and provide opportunities that can make a difference in the lives of America's youth. The Foundation is fully supported by proceeds from sales of its limited edition charity game pack and "Nite to Unite for Kids," which has raised more than $11 million in the last 10 years. For more information about the ESA Foundation, please visit www.theESA.com/foundation.